The results are mixed when it comes to studies focusing on whether there has been an increase in car accidents in states that legalized marijuana. While the Highway Loss Data Institute has indicated that collision claim rates have increased in states like Colorado and Washington (i.e. states that legalized the recreational use of marijuana), the American Journal of Public Health found no increase in vehicle crash fatalities after recreational marijuana was legalized in those states. Regardless, New Jersey insurance companies have indicated that they expect an increase in the number of crashes if the law passes. It could also affect how and when police pull drivers over and use their judgment as to whether someone is driving while impaired. Pulling drivers over for supposedly being under the influence of marijuana is arguably more complicated than pulling them over and measuring their blood-alcohol content. There truly is no universal “blood-alcohol level” equivalent when it comes to driving impaired by drugs. While some states have adopted the five nanograms of THC per milliliter of blood standard, others have pointed out that this is problematic, as the effect of THC has a varied effect, depending upon the user. 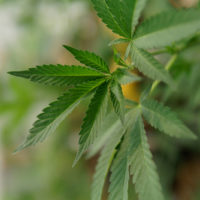 As of now, governing law is dictated by one Supreme Court of New Jersey case, which upheld one officer’s judgment that the defendant engaged in erratic driving, had bloodshot eyes, smelled of marijuana, and exhibited slurred speech. Still, the state lacking a one-size-fits-all standard overall will arguably make it more difficult for prosecutors to convict drivers impaired by marijuana; the current “standard” isn’t a per se limit; instead, it’s an amorphous, vague judgment call. The ACLU-NJ is the leading proponent of legalizing marijuana due to the disproportionate targeting of certain minorities in cracking down on marijuana-related crimes. The organization has also asked lawmakers to go one step further and also expunge the records of those who have been charged with marijuana-related crimes. One trend is for sure: the legalization of marijuana has increased the number of people charged with impaired driving overall. According to some reports, police officers have been quick to assume that if they cannot find an alcohol blood content in a driver that was supposedly driving erratically; the driver must be under the influence of marijuana. If you have been accused of driving while impaired and/or a crime related to the possession or use of marijuana, contact Phillip J. Murphy today for a free consultation. We have been successfully defending criminal defendants in and around Bergen County for more than 25 years.